Canada is famous for a lot of things, including ice hockey, health care, and Tim Horton’s doughnuts. Producing top-of-the-line motorcycles, on the other hand, isn’t one of them. 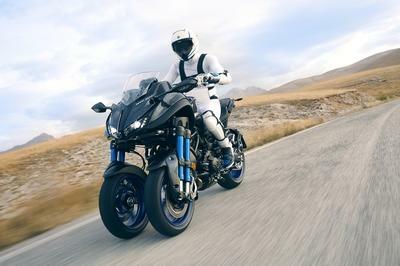 In an attempt to change that perception, Quebec-based company, Amarok Consultants, has introduced a new electric motorcycle prototype called the ’P1’. The P1 comes was designed with the intent of making it as light as possible by putting in a 7.5-kilowatt-hour battery to go with two Agni 95 electric motors on a body that tips the scales at just 325 pounds. The powertrain is capable of producing 75 horsepower and combined with the lightweight body, could pose as a serious threat in the TTXGP, an international racing series made up of electric motorcycles. No word yet on when the bike is going to go to production, but Amarok is optimistic that it should go over well with the public. So optimistic, in fact, that the company is already hard at work in developing an electric motorcycle that shaves off 50 pounds from the P1 prototype. In a world increasingly infiltrated by electric vehicles, the Amarok P1 should be a fresh alternative for riders who prefer a greener way in getting around and about in their two-wheeled machines. I like how this motorcycle designed. And it’s nice to know that this one is eco-friendly. Nice idea to make it as electric motorcycle! If they intend to get this Electric Motorbikes into a race, I think they should make it more lighter. And if any chance that they offer it to the market, it’ll surely help protecting our environment. Maybe it is because of the fact that the first one is actually doing great in terms of technical details. I heard that Amarok’s first electric bike actually did good on some of the races that it has entered. Well that one is definitely a lot of confidence on their part. Imagine that, they have yet to see how well their first prototype and they are already consid4ring the second one.